When Alariq is exiled from his home city-state for a crime he did not commit, only six stand by his side, convinced of his innocence and steadfast in their loyalty. The seven dwarfs must set out from Ishtara to look for a new place to call home, but in doing so, they make a discovery that puts them all in danger. They are rescued and taken in by a mysterious and beautiful outsider, who lives alone in the depths of Loraheem Forest. What follows is Alariq’s struggle to come to terms with his exile, as those around him seek to make a place for themselves in this new life. Soon, however, it becomes clear their situation is more complex than they initially realized, and they begin to wonder if there is more behind Alariq’s exile than simply being in the wrong place at the wrong time. Told in a unique storyteller voice, this reversal and reimagining of the classic fairy tale explores the themes of shattering betrayal, the subsequent struggle to trust again, and the basic desire to take control of one’s own destiny. Available in print on Amazon.com, and e-book on Kindle, iBooks, Nook, & Kobo. Alariq's story continues in this sequel to the The Exiled Seven. The city-state of Ishtara is at war. His brother-by-bond is fighting on the dangerous front lines and his city is struggling to cope with the consequences of a long war of attrition. But fate has rendered Brimir unable to help either of them. His leg, crushed by a boulder in a bloody battle, has put an end to his military service, at least for the foreseeable future. Told in the same unique storyteller voice of The Exiled Seven, The Exiled Tales is a collection of short stories and novellas that follow the supporting characters from The Exiled Series. 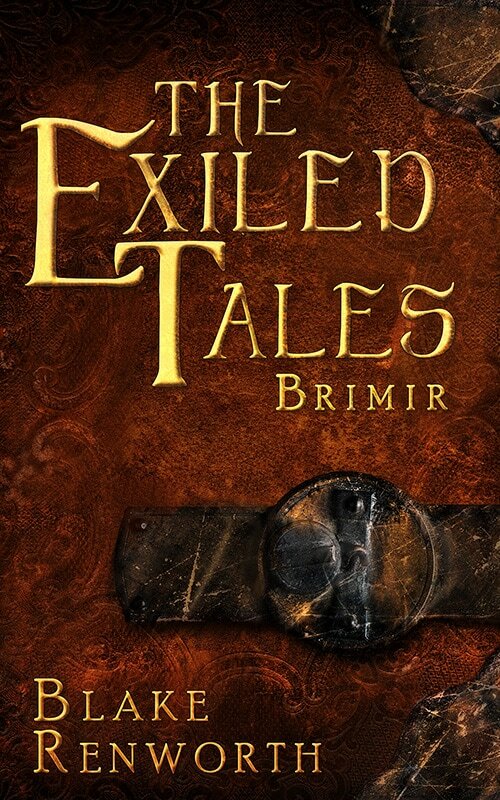 This first story is Brimir's Tale, in which the young soldier begins his journey toward the wise, old dwarf of The Exiled Seven.